You think you’re listening, but you’re missing so much. Here’s what to do about it. Have you ever been in the midst of a conversation with someone, only to realize you have no idea what they’ve just been saying to you? Have you ever acted on something you discussed with someone, only to have them corner you later and state, “I never said that!”? Have you ever been so concerned with your point of view, or needs, or perspective, or issues that you’ve paid very little, or no, attention to the person with whom you’ve been speaking? I have, and I teach these things! It can be tough to listen completely. It requires effort and muscles – listening muscles – that we don’t exercise often. Muscles that are, perhaps, flabby and out of shape and under-utilized. When we don’t listen completely, the consequences can be disastrous. We miss important information; we react to something that we’ve possibly invented ourselves; and we have little room for compassion and concern for others. And, in case you haven’t noticed, all of these outcomes negatively affect our relationships with the people around us, and impede our effectiveness. There are a litany of reasons why we often don’t listen – our brains think faster than others can talk; we view the world through our own needs and outlook; we want to “help” others and “solve” their problems with our brilliant ideas – and honestly, the reasons don’t matter. What matters is that we learn to push against our tendency to unknowingly tune people out, and we try, instead, to tune them in. Put everything else down – physically put down your phone, mentally put away the problems and tasks weighing on your mind, and emotionally (try to) put aside what you need and want from the person with whom you’re speaking. Eliminate distractions. Pay attention – it’s not as simple as it sounds, and you can build your ability to pay attention by making sure you’re facing and looking at the person you’re with, and watching their facial expressions and body movements to look for further clues about what they’re telling you (and not telling you). Ask questions – when you don’t understand, ask questions for clarity. When you don’t agree, ask questions to learn how and why they’ve come to that conclusion or why they view things that way. Ask not to prove them wrong; ask to unravel their thinking, get in their head, and see things from their point of view. 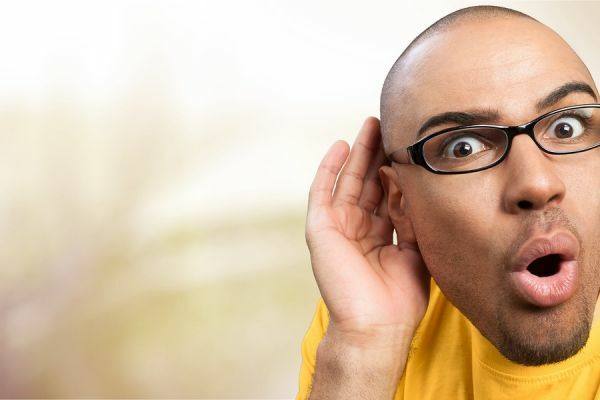 These three simple steps will start to strengthen your “listen completely” muscle, and the more you truly listen, the better you’ll become at it and the more benefits you’ll reap. How do you manage to listen completely to others? For support in completely listening, contact Lisa at lkohn@chatsworthconsulting.com.